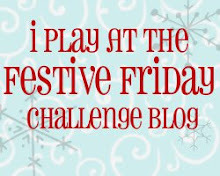 Over at Papertrey, this week's challenge is die cut borders. I am not enamored worth my first creation, but I will share anyways. 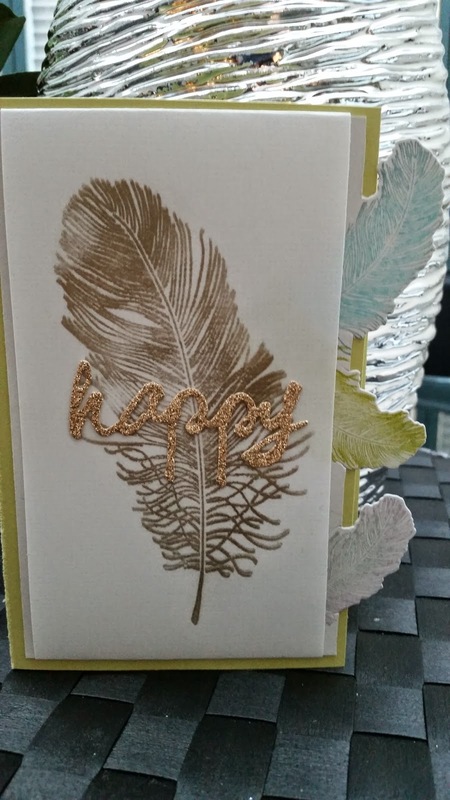 I used the Fanciful Feather dies along the edges and used the rock and roll technique on the feathers with some Fresh inks. 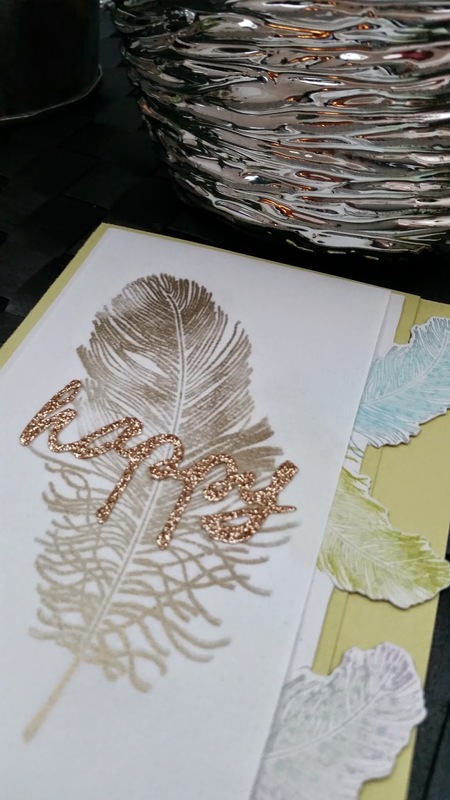 I stamped the large feather using Versamark and added pewter Perfect Pearls. This is my new purchase - PTI's linen vellum. Love it!! Your feather is gorgeous! The happy die just adds to the beauty! 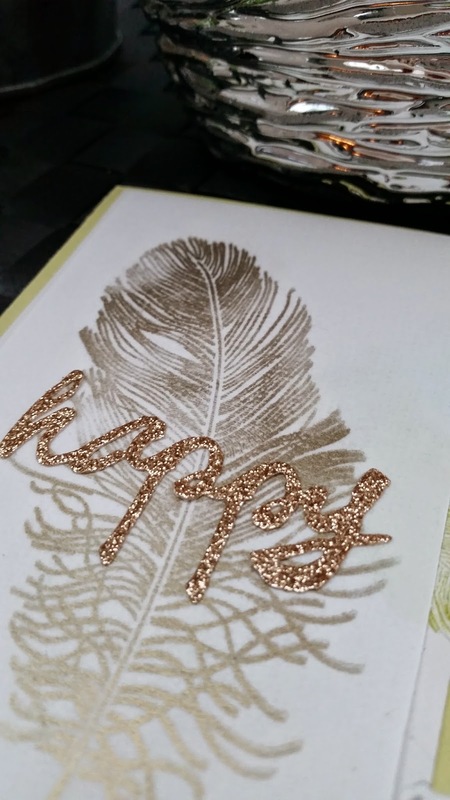 Great dies to use as borders!